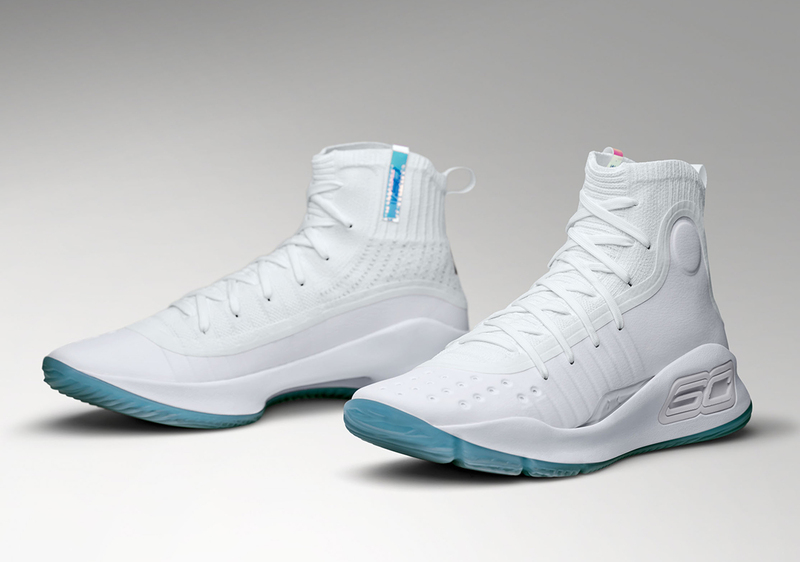 While the initial drops of the Under Armour Curry 4 celebrated the brand’s “More” campaign, highlighting some of the best elements of number 30’s game, this next drop is in honor of being named an All-Star captain. Captaining team Stephen, the perenial All-Star will be donning a primarily white iteration of his fourth signature shoe that emulates the babyface assassin’s combination of his scoring tendencies and his awareness as a facilitator. Underneath, sits an iridescent outsole that will glow both on-court during the big game, as well as off the court in the streets of LA. Fans of this new look will be able to pick up a pair from Under Armour brand houses and UA.com on February 16th for $130 USD.